LANCASTER — While the start of the school year is an exciting time for students, it can be a financial burden for some parents. That’s why the Lancaster Independent School District is thankful for its established community partnerships that allow the district to provide school supplies for students and financial relief for parents. Just prior to the start of the school year, more than 800 school supply packets were donated to Lancaster ISD from the Lancaster Education Foundation which consists of alumni, local citizens and Lancaster ISD vendors who want to see student success. Most supply packages were distributed to K-12 pre-qualified students during a Tiger Welcome event held on each campus prior to the start of school. Parents and students who were unable to attend the campus event picked up their school supplies at the start of the school year. George Washington Carver 6th Grade STEM Learning Center Principal CoSheda Hurd believes that having the donated school supplies available on the first day of school for students creates a culture of success. 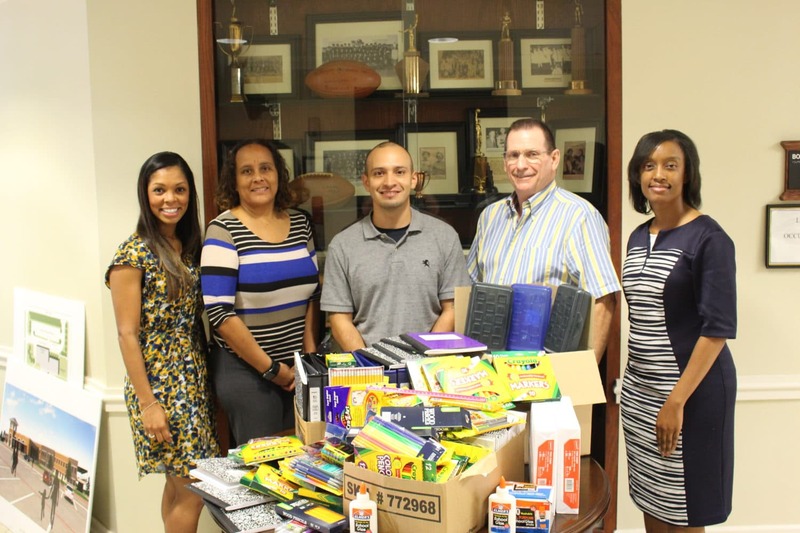 In addition to the Education Foundation’s donation, the district partnered with Kroger Food Stores during its annual Backpack Boosters 14-day school supply drive to provide more than 900 school supply packs for students. Lancaster ISD was one of nine North Texas school districts selected to benefit from the drive that serviced more than 60,000 students throughout North Texas. Local companies such as L’Oréal USA’s Active Cosmetics and Consumer Products departments, Syncreon and the BMW Group also made generous contributions of notebook paper, binders, folders, pencils, and crayons. The donation of backpacks and gently used school uniforms was also made by several community members. For more information on how to partner with Lancaster ISD in the future, please email Info@LancasterISD.org.